In today's day and age, it's common for people of all ages to be adept at using mobile devices and the internet. 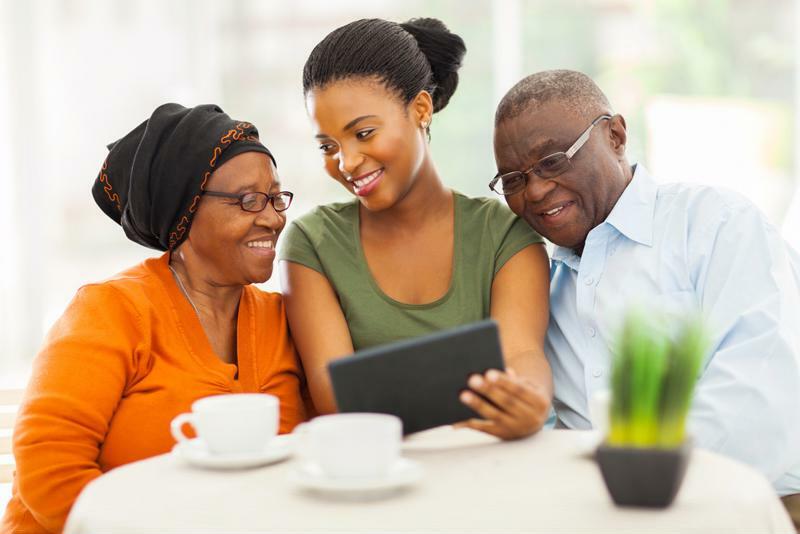 Although it may take seniors a little bit longer to feel comfortable with certain technological instruments, many find joy in using these advancements to continue learning and to communicate with their friends and family members. According to the Pew Research Center, 59 percent of people 65 years or older go online. Family members need to instruct their loved ones on how to spot and avoid scams. Although seniors know they need to be careful with their personal information, they may not be aware of just how dangerous disclosing credit card numbers, birth dates and social security numbers can truly be. It's critical for family members to educate parents, grandparents, and aunts and uncles about the warning signs of a scam. Government organizations requesting these materials are especially suspicious – as they should already have access to the information – as are phone calls about sweepstakes winnings, according to A Place for Mom. People can tell their loved ones to always be skeptical of these situations and to reach out to trusted family members if they feel especially inclined to distribute this data. In order to protect seniors, family members can start by safeguarding data that certain organizations have access to. AARP recommended adding parent's address to the Direct Marketing Association's opt-out list as well as completely unlisting phone numbers so scammers can't use them to their advantage. Loved ones can help their senior family members identify potentially dangerous junk mail and report any threats to the U.S. Postal Inspection Service. It's common for family members to oversee seniors' bank accounts at a certain point. This action may be a smart move in the long run, but loved ones often still want a sense of financial independence. To create the best of both worlds, people can set up banking protections that will ensure seniors don't deplete their savings – whether by their own hand or by falling victim to a scheme. A separate bank account with a spending limit and familial oversight can ensure seniors still feel self-sufficient, according to Consumer Reports. "Family members also commit financial exploitation." While seniors may be aware of the possibility for fraudsters to get ahold of and use their information, they may be less cognizant of problems that can result from people who are actually close to them. According to the National Center on Elder Abuse, 60 percent of financial exploitation is committed by family members. Examples of these fraudulent situations include theft of goods or possessions, draining a joint bank account and failing to deliver care in exchange for compensation, the National Council on Aging shared. At any given date and time, there are certain scams floating around the internet. It's important for family members to be vigilant on behalf of seniors, so loved ones need to make sure they're aware of the most popular types of fraud currently circulating. To get a full picture of the potential dangers facing seniors, Forbes suggested checking out serveourseniors.org. The website gives family members a breakdown of popular schemes they should know to fully protect seniors and their assets. Loved ones who are more up to date on fraud-based scams have a responsibility to educate their family members of the dangers that stem from online interactions. Distributing personal information can result in seniors losing not only their money, but their pride and confidence in themselves.